Gerbera Daisy Flower Clips, Set of 10, Just $5.18 Shipped! You are here: Home / Great Deals / Amazon Deals / Gerbera Daisy Flower Clips, Set of 10, Just $5.18 Shipped! If you have a little girl, we have a great deal on hair clips for her. 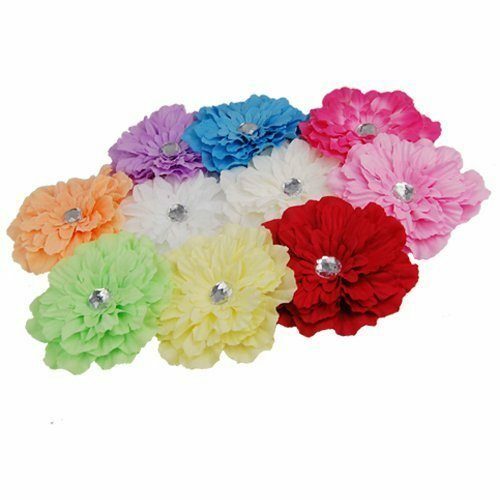 Get this Gerbera Daisy Flower Clips, Set of 10 only $5.18 on Amazon! And, shipping is FREE. That’s like paying just under $0.52 per clip. These lovely Gerbera hair grips each comprise of carved resin rose cabochon securely affixed to a bobby pin. A beautiful flower hair accessory, great for all occasions!